The German Romantics were pretty awesome. Their style of writing and thinking set in motion a key literary, art, and philosophical movement. The German Romantics were also particularly practical folks. Not only did they want to write but they also wanted to remain in society and make a living. Which meant that almost all of them held some of the most “unwritely” jobs possible. 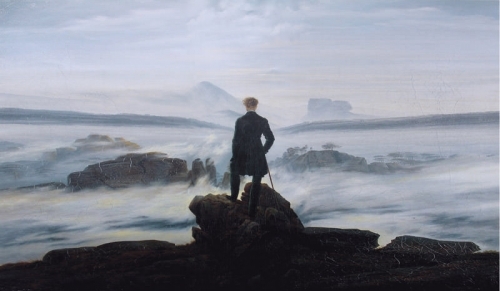 Goethe, whose The Sorrows of Young Werther kicked off Romanticism, was a statesman. E.T.A. Hoffman, author of “The Golden Pot,” “The Sandman,” and “The Nutcracker and the Mouse King,” was a judge. Novalis, the brilliant poet who died at the age of 24, managed a quarry. And these positions were not unimportant to them. Indeed, Goethe, Hoffman, and the unfortunate Novalis worked hard at their day jobs, and then went home to write at night. 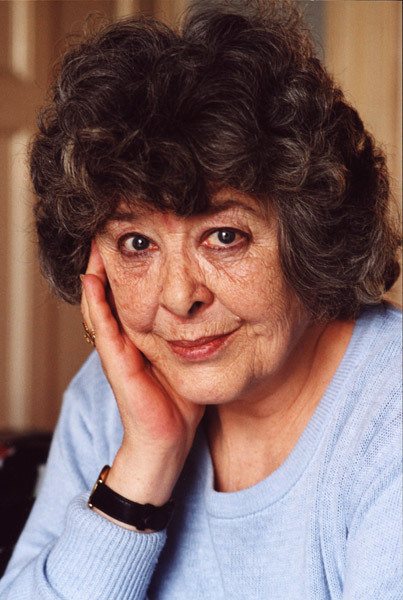 As with many authors, Diana Wynne Jones discovered storytelling as a child. The eldest daughter of rather strict parents, she and her two younger sisters were allowed to read nothing more than the classics, histories, and the like. So, to entertain herself and her sisters, Jones started to create her own stories. 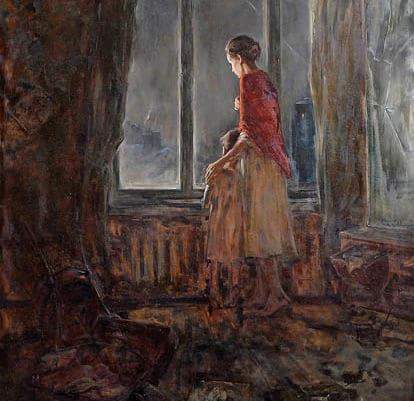 Acting as a Scheherazade, she would write a new installment to a story in the day and then read it to her sisters at night, perpetually keeping them at the edge of their seats. 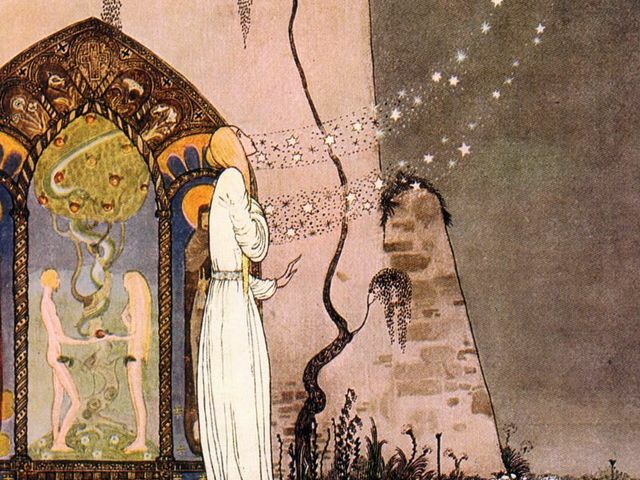 After Jones grew up, went to Oxford—where she studied English under the great Lewis and Tolkien—and got married, she stopped creating stories for a span of time. Then, stressful and hectic circumstances caused her to return to the worlds of her imaginations in order to stay sane. And it stuck. From that point until her death, she wrote and published and wrote. Jones became one of the top names in children’s fantasy, her wild imagination influencing other authors, such as Neil Gaiman, Garth Nix, and Megan Whalen Turner. What makes her writing so wonderful, though, was her education in the classics as a child. Reading Chaucer, Piers Plowman, and Spenser left her with a fertile imagination and a wide knowledge base from which to pull ideas. This meant that incorporated into every novel were ancient ideas that then enriched the twists and turns of Jones’ stories. This, in turn, make her concepts highly unique and always fascinating. But this could only be because she loved to tell stories. Which is what being a writer is really all about. As with many of the great names in comics, Will Eisner began his career in the Golden Age with his action hero the Spirit. He worked on this project from 1940-1945 and then disappeared. Well, he didn’t really disappear, he just quietly slipped out of the world of comics to work for the United States military illustrating service manuals and the like. Then, after his thirty-three year hiatus, Eisner returned and published A Contract With God. A series of four vignettes dealing with Jewish life in the 1930s, A Contract With God was an influential work that helped to bring the idea to the public that comics can be about more than superheroes in tights. (This is not to say that there hadn’t been independent comics prior to Contract, but they were not so much in the public eye as Eisner’s work.) The first book length comic to term itself a graphic novel, Contract was, and is, considered groundbreaking as it deals with themes of ethnicity, anger, irony, and the confusion of life (among other things) without any breaks into fantasy or childish themes. But Contract wasn’t created because Eisner wanted to radically transform the world of comics. It was written and drawn because he lost his daughter. Contract is, above all else, Eisner’s way of coming to terms with the passing of a beloved child. It was his method for reconciling himself with God after a major tragedy affected his life. After Contract, Eisner went on to teach sequential art and become one of the most respected names in the comics industry. 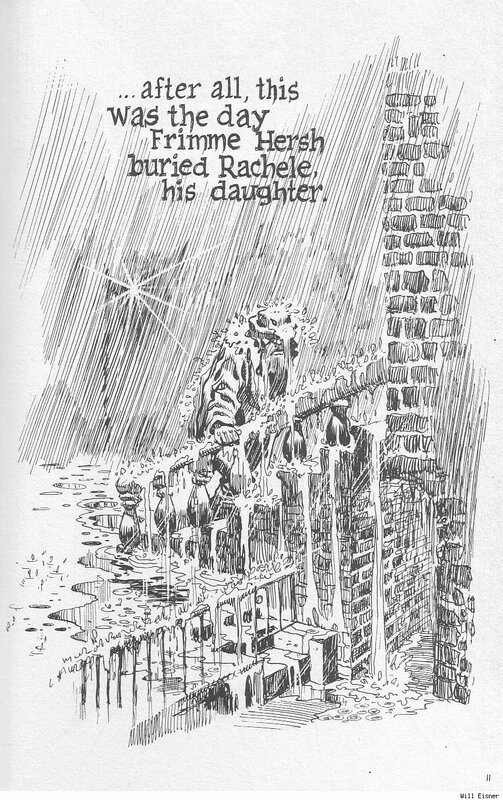 But without his drive to work through his pain in art, to break the prescribed formula for comics and novels, and the need to create meaningful art, Eisner would only be the man who created the Spirit, and we would have lost a great work. Ella Gwendolyn Rees Williams grew up in the Caribbean on the island of Dominica. As a teenager, she was sent to Britain to be educated, and it was in Europe where she spent the majority of her adult life. 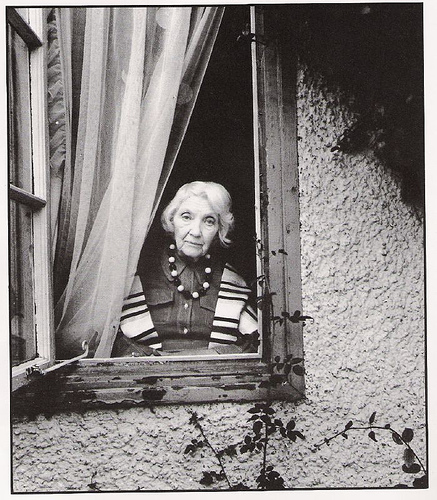 Somewhere along the way, Ella Williams transformed into the writer Jean Rhys. This change, however, did little to alter her unease over something intensely related to her birthplace: how she read Jane Eyre. Told to like it because it was (is) a great work by a female author, she could accept all but one thing: Bertha Mason. Like Rhys, Bertha Mason–the secret, mad wife of Mr. Rochester–is Creole. The depiction of Creole femininity as fierce and almost mannish disturbed Rhys. She had known Creole women of wealth and class—as Bertha is described—growing up. She was one of those women. She could not stand behind Brontë’s depiction of what she considered herself to be. So, to set the record straight, she wrote Wide Sargasso Sea. An unauthorized prequel to Jane Eyre, Rhys’ novel makes Bertha a main character and the heart of the story. To further revamp the image of the “mad woman in the attic,” Rhys gave the character the more feminine name Antoinette, exposed the issues and stereotypes that confronted Creole womanhood when she was a child, and purposefully drew parallels between the lives of Antoinette and Brontë’s Jane in order to highlight the divergence of the characters’ lives (tragic and happy). With the publication of Wide Sargasso Sea, Rhys’ career was reexamined and she gained a seat in the literary canon. Whether or not Rhys’ and Brontë’s novels can actually be paired together is up to the individual reader. However, no one can deny that Rhys used the process of creative adaptation to fashion something uniquely her own that adds to her readers’ worldviews, which is in and of itself an amazing feat. Most know the story of how Mary Shelley came to write Frankenstein. As she, Percy Bysshe Shelley, Claire Clairmont, and Lord Byron spent their days in the Swiss Alps rediscovering their favorite Gothic novels, they decided to try their hands at the dying genre. From this endeavor, the world gained Frankenstein. And the very first piece of vampire fiction. Or at least it was inspired during this time. Prior to Polidori’s story, there were only a few short articles in newspapers and in books that discussed vampires at all. Once his short story was published, these creatures of the night became a popular literary trope, particularly for Gothic authors. And, since his work was the first to actively explore the idea of the vampire in modern literature, he set the first guidelines for what vampires were and were not. 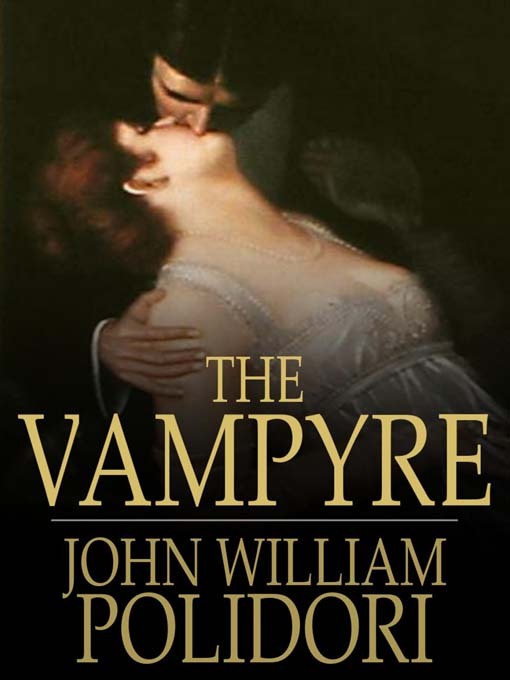 “The Vampyre” went on to inspire many later novelists, namely Joseph Sheridan Le Fanu whose novella Carmilla was the primary source text for Bram Stoker’s more renowned Dracula. Even though Polidori did not fully received credit for his story at the time (it was attributed to Byron), his imagination has gone on to inspire very good (and very bad) fiction. Why? All because a group of writers decided to play with one of their favorite genres, and Polidori later decided to flesh out unfinished ideas into something new. Note: There was a lack of a proper update last week as I was attending an Air Force BMT graduation. Got to see my Airman First Class! Hua! For the remainder of the summer, we will be addressing writing topics—such as rewriting, criticism, etc.—through anecdotal evidence. After all, while it’s nice to discuss topics theoretically, it’s much more interesting to learn about how real writers tackled different issues. The first case study is Scottish Victorian author and globetrotter, Robert Louis Stevenson. During the December of 1885, Stevenson had a nightmare that chilled him to the core. It took him back to his days as university student in Edinborough where he’d been a model student by day and an experiencer of life by night. In the dream, however, Stevenson was not one person living a double life, but physically two people, living two lives—a metamorphosis made possible by ingesting a chemical compound. The moment Stevenson woke—his dream still burning in his mind—he began to write. Three days of feverish writing later, he completed the first draft of The Strange Case of Dr. Jekyll and Mr. Hyde. This is where things get interesting. Stevenson asked his wife Fanny to read the finished draft, wanting to receive her input. And her judgment was anything but encouraging. Fanny declared the story to be simply horrible and that it meant nothing. Accepting her evaluation, Stevenson promptly threw the draft into the fire. Since we all know the story of Jekyll and Hyde, we can assume that Stevenson did not give up on his dream story even after incinerating the first draft. Almost immediately, Stevenson set to work again. This new draft was finished four days later. And three days after that, he completed the final revisions as his publisher began preparing for a January debut of the novella. And the rest, as they say, was history. Jekyll and Hyde became an instant popular and critical success, which continues to define our notions of monstrosity to this day. All because Stevenson listened to some harsh criticism and refused to give up. An important factor in writing is varying style so that readers do not fall into a stupor. If every sentence is the same length, with little or no breaks—provided through punctuation and sentence structure—then reading becomes monotonous and they phase out. Academic writing is very prone to this mistake, but, alas and alack, so is creative writing. And, without a doubt, it is always important to diversify our writing styles. One of the best methods to manage this is to make use of small, but significant, pauses created by simple sentences, commas, parentheses, and dashes. We tend to believe that simple sentences are nothing more than “The dog ran” or “The fat cat sat.” While they are indeed short, they need not always be that short. A simple sentence really only lasts to about one, or less than one, line on a page. It will not talk about more than one idea, but this attribute means that it reinforces what we write about. Further, short sentences break up the monotony of reading. Instead of our readers always coming across two to four line sentences—after all, describing a scene or discussing the lives of protozoa is highly important—and becoming lost in the details, short sentences give our readers little “mental breaks.” Thus, in between long sentences, readers can stop. Then they continue reading. This enhances what we have to say. Additionally, the complex sentences are now more important, because not every sentence is the same. Commas are a very specific form of punctuation with the very specific purpose of adding small pauses within sentences. There are three ways to use a comma: listing, after introductory information/separating clauses, and offsetting inessential elements. We all learned about listing in school, and that tends to come naturally to us. Whether or not we use the Oxford comma is completely left up to our discretion. Much to the horror of Grammar Nazis. When using a comma after introductory information, you’re establishing that what comes first fully illuminates the main part (or clause) of the sentence. The information is not the most important piece of information, but it is necessary to understand that which is. Additionally, we use commas to separate independent clauses followed by coordinating conjunctions (and, but, or, etc.) This means that the information prior can stand independently of what follows, but what follows cannot stand alone as it is a related effect. These types of pauses signal what is essential information to our readers, and slow them down as they read so that they have time to interpret what we write. One of the most enjoyable types of pauses is using commas to offset inessential information. These are the things we don’t necessarily have to tell the reader, but we like it. Further, it offers our readers more information, say her hair color or the color of the cuttlefish when it chose its mate, about our topic. Generally, these inessentials are the first to go when we edit, but they do create nice breaks in what we write and are quite fun. We use parentheses and dashes in much the same manner as we use commas. Therefore, we bring them in to vary our styles so that our readers are not always confronting the same type of punctuation. Parentheses, more often than not, are used to offset inessential elements or explain something in more detail. You can imagine them as a sort of whisper pushing into the conversation to fully elaborate an idea, add a sarcastic remark, or, as is often the case in academia, establish that something is one thing and another thing (ex. (dis)junctions or m(O)thering). They are a rather direct way to speak to readers, and should be used sparingly. Dashes are slightly quieter than parentheses. As with commas, they are used to offset inessential information. However, this “inessential information” is established to be just as—or even, at times, more—important than the rest of the sentence. To use a dash is to separate out details for a reader, giving them something to focus on in the brief reading pause created by our writing. While it can seem a bit nitpicky, the pause does allow our readers to take breaks, and, more importantly, makes our writing more engaging. Plus it’s amusing to play around with. Great writers are also great readers. They read anything and everything they can get their hands on, voraciously gobbling up the ideas of philosophers, scientists, historians, and more. And why? Because of the ideas that eventually drive their own writing. It’s been acknowledged by contemporary society that books take readers to new places to meet new people. They give us dreams and new ways of thought. And so do non-fiction pieces, academic articles, anthologies of myth and folklore, etc. This, in turn, influences how and what we write. For example, Rick Riordan’s New Olympian books are unique in how he incorporates his study of Greco-Roman mythology, life, etc. And before Riordan, there was James Joyce’s Ulysses, which became a classic because of what he drew from Virgil’s Aeneid in myth, content and structure. And, indeed, Virgil’s Aeneid would not be the same had not Virgil read Homer’s Iliad and Odyssey. Great writing, then, is a continuous cycle of reading and writing and more reading, one generation influencing the thought of the next. Additionally, as discussed previously, reading also makes us better writers. Seeing how other novelists handle a plot (or fail to handle a plot) or how a group of scientists discuss their stunning new theory (or fail to illuminate any new information) teaches us how to handle these and other techniques in our own writing. So, the more we read, the more we learn about how to write, implementing these new skills into our own writing. Do note, however, that there is a difference between what can be classified as “good” and “bad” reading. Everyone practices both types, so we do need to be slightly conscious of how we’re reading when we open a book or turn on our Kindles. “Bad” reading is analogous to junk food—it momentarily tastes good, but does nothing for our writing, in fact, it can be detrimental at times. This is reading only for the sake of passing time and only in a few subject matters or genres. There’s little variation, and almost everything sounds, or “tastes,” the same. Now, none of these traits are necessarily bad—after all “good” reading often includes a fair amount of reading to pass the time and for fun (if it wasn’t for these two points, we would never read at all!). We cannot, however, stop there, for “good” reading is not mindless. “Good” reading is when we subconsciously, or consciously, allow our minds to chew over what is good or bad, useful or useless in a work during the act of reading. 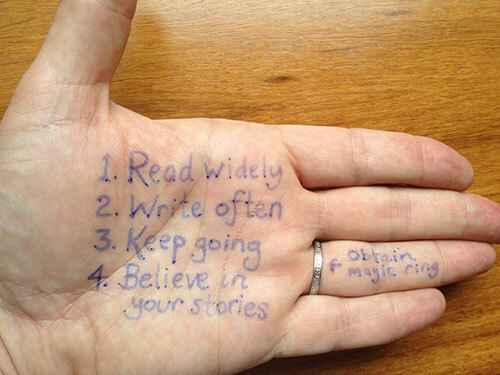 So, as Garth Nix’ hand suggests, read widely, and read often. And keep writing.